Each blade measures approx. 4" x 7"
Ooga Booga! Are you ready to club your way to the top of the tribe? Of course you are, that’s no question, you were born ready. 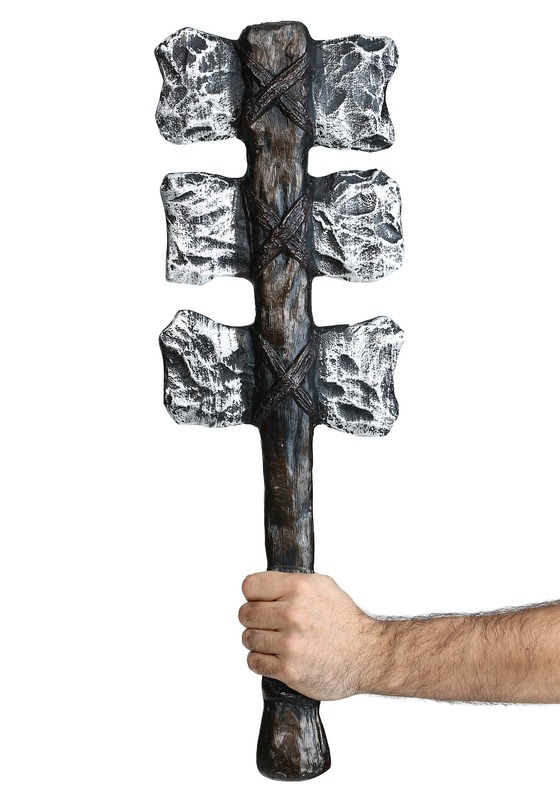 So, with this War Club, you will fulfill your destiny as the Big Man of the pack! As any Big Man knows, you must be respected and feared to lead the pack. And with this club, no one will dare mess with you when you have this club at your side, and if they try, you know what to do. This 23-inch molded plastic club is sure to instill fear in any worthy opponent. The three blades that run throughout the club are a triple threat, measuring 4-inches by 7-inches. It is detailed with silver and brown accents, completed with an authentic texture. Arm yourself like a cave dwelling carnivore when you add this toy accessory to your caveman or warrior costume!